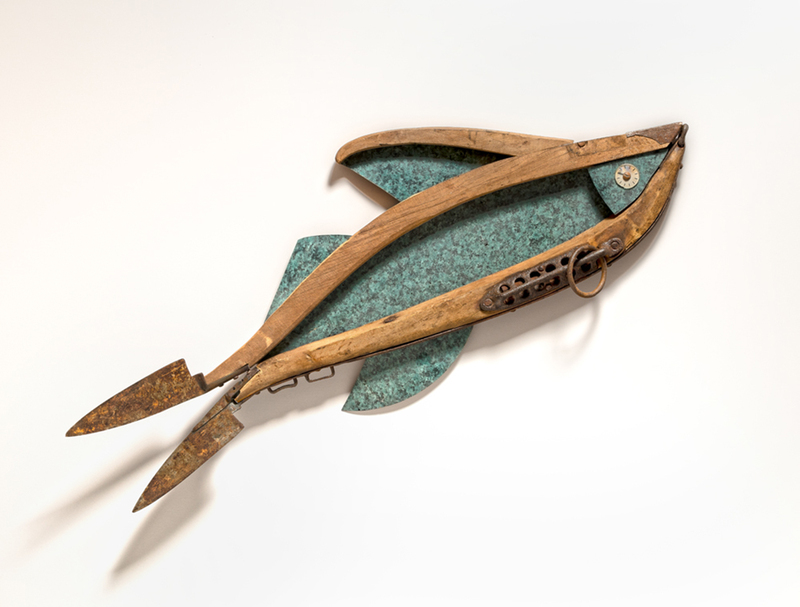 Aquatica is my series of found object assemblage based on oceanic life. 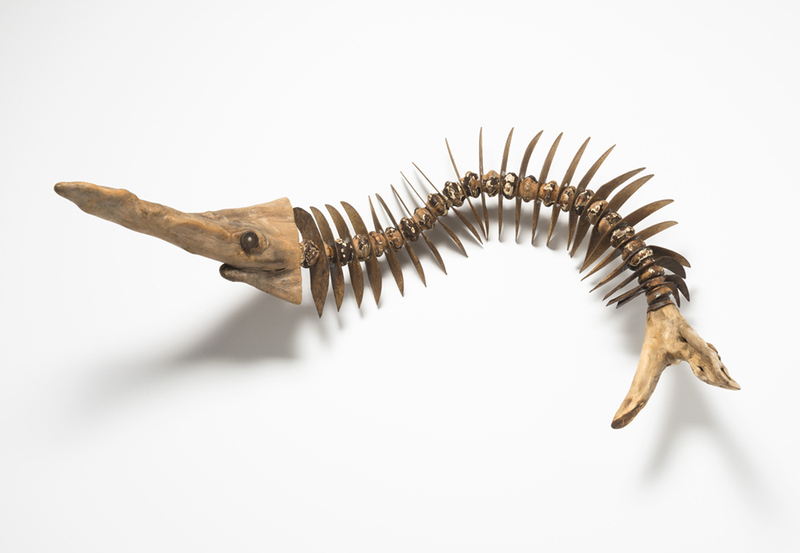 The refuse of our shores and tossed fragments become the bones of new sculpture. 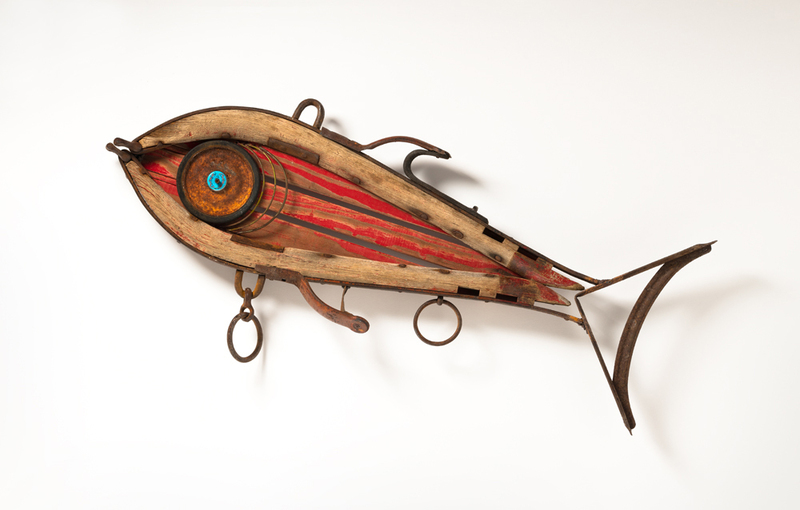 I am driven to collect objects that have an interesting look, feel & aura about them. Usually the pieces seem to find me as I am walking in the woods, streets and shorelines. Sometimes it takes years for me to see a connection between two random objects. From there I find other pieces that seem to link. As the assemblage develops I have many pieces to edit to find the essence. Using hand tools I screw, nail, pin, weld or rivet fragments together. 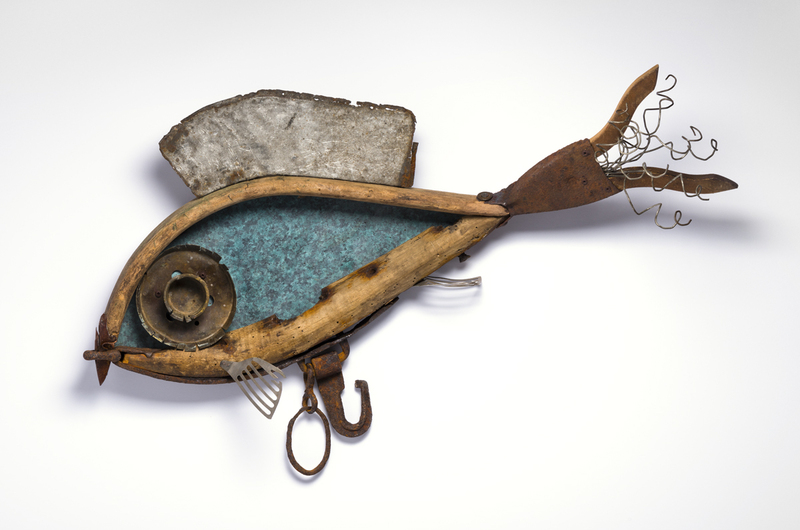 Mary Opasik has been working with found object assemblage for 28 years. Raised in Baltimore, she is a product of a postindustrial society whose streets and woods are littered with discarded materials. 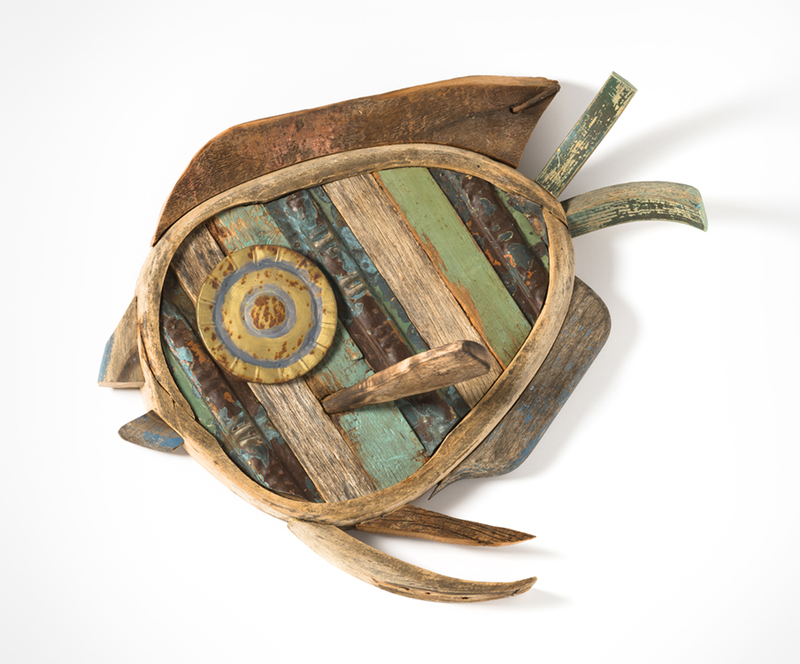 Opasik's affinity for repurposing is expressed in her sculptural art. Before graduating from the Maryland Institute College of Art in 1989 with her B.F.A degree, Mary Opasik worked as a registered nurse for eighteen years while attending art classes at night. The medical profession and personal experiences have informed her work. Her art has been exhibited in The Huntsville Museum of Art (Alabama), Coast Gallery (Pebble Beach, CA), the American Craft Council (Baltimore, MD) and in galleries extensively. In May 2015, Mary Opasik was an Inside Zone artist-in-residence in Borsec, Transylvania, Romania. She was a grantee for The Alfred & Trafford Klots Residency Program at Rochefort-en-Terre (Brittany, France), the Fundacion Valparaiso (Spain) and the Vermont Studio Center (U.S.). The artist has participated in Maryland Art Place's Critics' and Residency Programs in 1991 & 1994 and has taught in visiting artist programs. 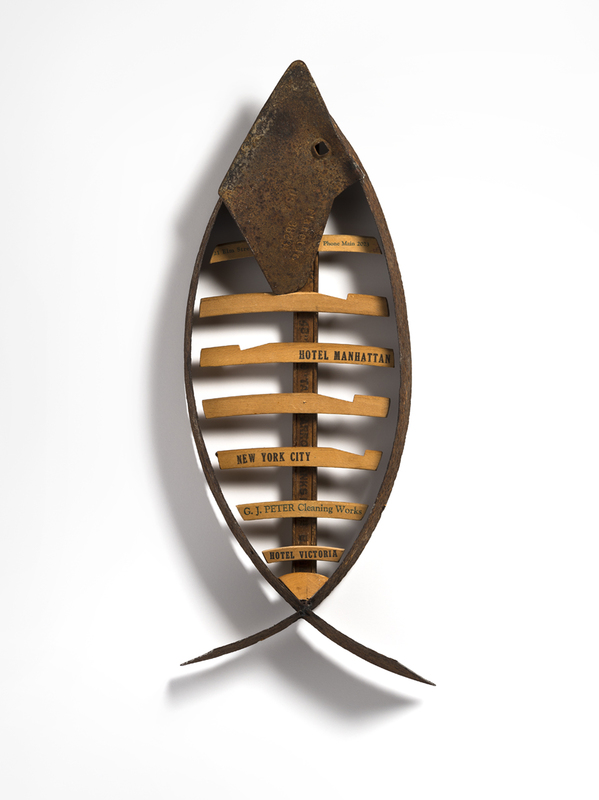 Her work has been published in "Found Object Art" by Dorothy Spencer and "Found Object Art II" by Tina Skinner. Collaborating with her husband, sculptor, Jim Opasik, she has worked with children on projects such as SERPENT FOR PEACE, an outcome of "Violent Toy Turn-In" and "New Ways to Play Day" in Howard County. The violent toy assemblage is on permanent display in the lobby at Children's National Medical Center in Washington, DC. Mary Opasik is an ongoing participant of Nature Art In the Park in Baltimore county, MD.